Gorgeous Remodeled Townhouse in Burbank. 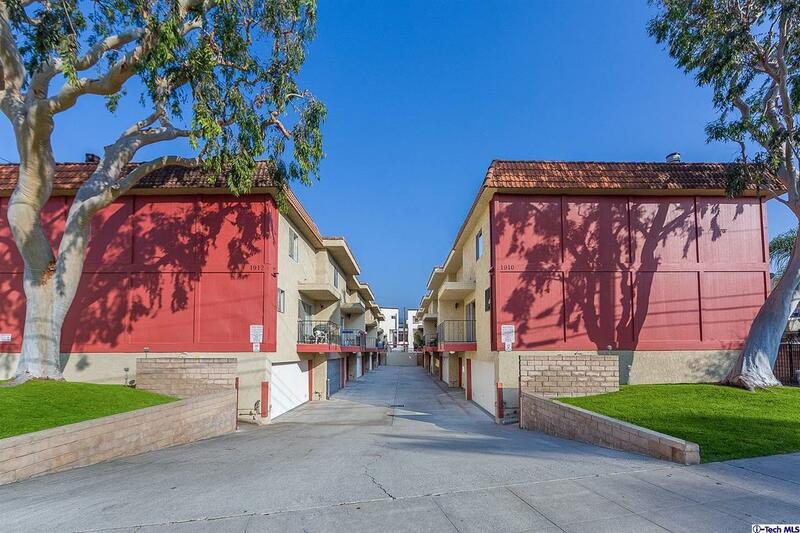 This very rare, corner unit features 2 Bedrooms, 1.50 Bathrooms, just under 1,200 square feet in a very prime location with an attached 2-car garage, right below Glenoaks. Large and Bright Great Room with Fireplace and views of the kitchen and exterior. Remodeled Kitchen with stainless steel appliances, quartz countertop and breakfast area. Large Master bedroom with wall to wall closets, private bathroom and partial views. Second Bedroom good sized with wall to wall closets and very bright. Additional features: laundry area upstairs, recessed lighting, new paint, new flooring, new tile, new carpet, balcony, corner unit (one neighbor), abundance of closet space and a low HOA fees with a pool. Close proximity to schools, shopping, parks and transportation.